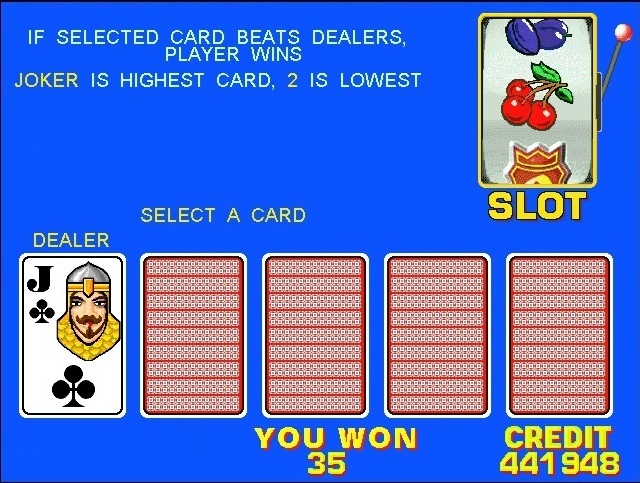 Popular games in his time, conquered many fans of gambling. 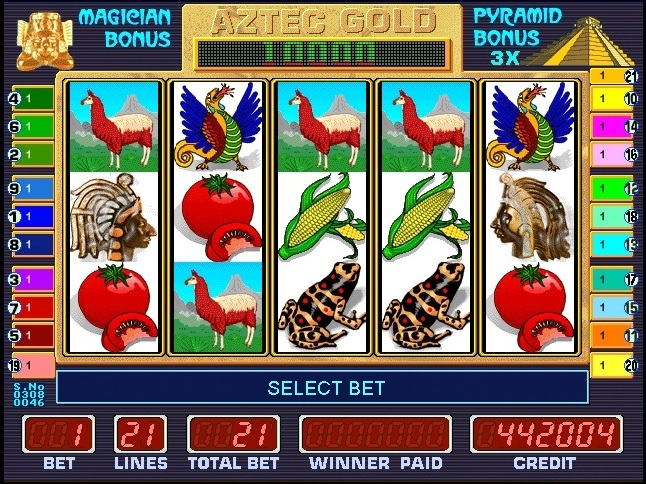 The name of this game Aztec Gold - AZTEC GOLD or the common people - of the pyramid. 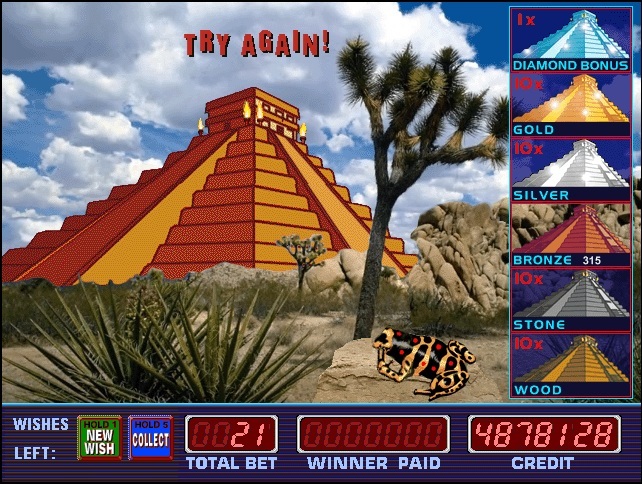 Bonuses in this game - this is the first - for free rotation of the drum with the multiplication of winning several times. 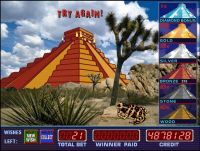 The second bonus game where you must select a pyramid, if you guess the game turns into a super game, where you will find even more exciting action! 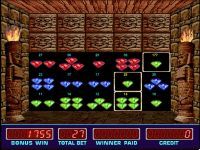 At loss of 3-5 characters "Pyramid" bonus game begins. 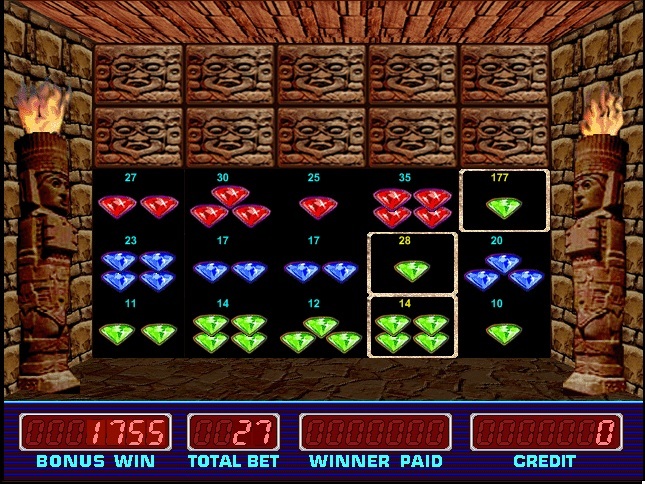 Choose a pyramid and win prizes. 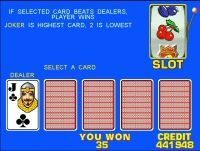 With the passage of the bonus game begins super bonus. 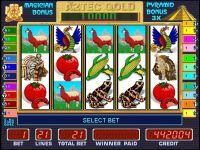 Choose from 1 element in each row and increase your winnings.